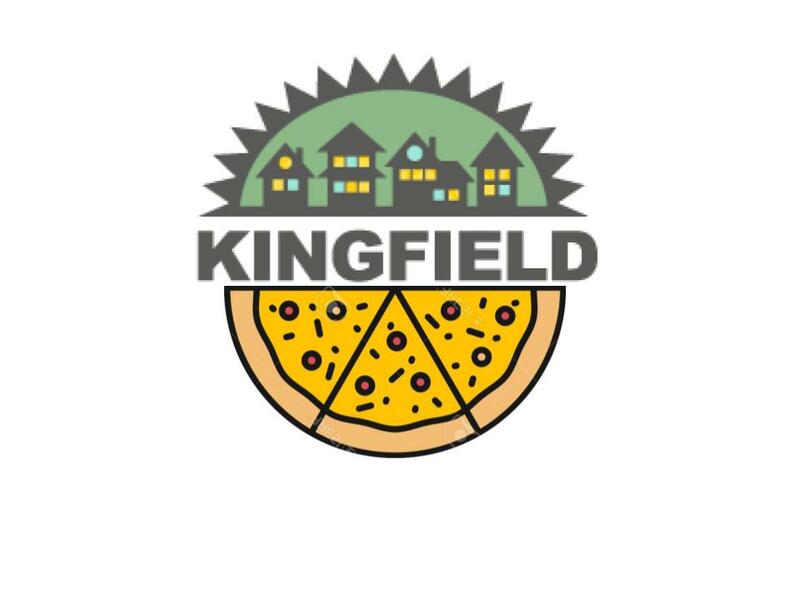 Background: The Kingfield Farmers’ Market has been a project of the Kingfield Neighborhood Association since 2000. Over the past seven years, the market has become a valuable neighborhood source of locally grown fresh produce and has served as an important community gathering place for residents. Growth: During pre-season market planning and vision casting, the Kingfield Farmers’ Market Task Force defined this market as a moderate operation of 15-20 vendors that is focused on local and organic foods. Diversifying the market’s food offerings, developing vendor consistency and enhancing the market site were the primary goals to obtain this summer. The market has steadily added vendors over the last seven years and has expended to its third and largest space of operation at 4310 Nicollet Avenue. This year the market has secured a total of 30+ vendors with 15-20 of them setting up shop on any given Sunday. The market has been able to retain a consistent weekly offering of produce, meat, cheese, bread and ready-to-eat foods. The market site and atmosphere have been enhanced with tables and chairs for market-goers to use as resting and eating areas (from market budget), three planters of live plants (donation from business sponsor) and weekly live music (made possible by a grant from the Improve Group). The Market secured permission to put up a storage shed on site to store tents, tables, chairs, signs, recycling bin, garbage cans and other supplies. In the past, the market coordinator hauled supplies in their car. The Market Task Force kept the idea of Second Sunday festivities at the market, introducing the bake-offs in 2007. The market hosted four seasonal bake-offs (June-rhubarb, August-corn, September-apple, October-pumpkin) and KFNA’s annual ice-cream flavor contest in July. As of September, the market has raised over $1200 from these events. KFNA/Market has a 10’X10’ booth space at the market with tables to display neighborhood information, conduct outreach (i.e. “Pledge to Unplug”) and sell merchandise (i.e. t-shirts and tote bags). KFNA also attempted vending berries for three weeks in June/July both as a fundraiser and to diversify market offerings; all available berries sold very quickly. KFNA also utilized the market for a Harvest Brunch fundraiser, as the starting point for neighborhood stormwater site bike tours, and as the location for a “Great Neighborhood Chat”, led by local author Jay Walljasper. Future: It is clear from community feedback that the Kingfield Farmers’ Market has become a considerable neighborhood asset. Residents of the neighborhood are able to buy an increasingly substantial and varied portion of their groceries at the market than in years past and people enjoy the market as a neighborhood destination. The market has met its original goals of bringing foot traffic to Nicollet Avenue, providing a source of fresh produce within the neighborhood and bringing neighbors together. The Market is the most expensive project of KFNA. This year alone KFNA has invested close to $13, 000 in direct costs and thousands of additional dollars in staff time. KFNA cannot sustain the market indefinitely into the future. For the future of the neighborhood association, it makes economic sense for KFNA to help the Market transition away from financial dependence on KFNA and on toward developing their own funding sources. For the market to continue building credibility and become sustainable, it needs to focus on relationships with local food networks, agricultural communities and other markets. KFNA cannot dedicate staff time toward these efforts throughout the year. As a “seasonal” neighborhood project, the Market is hampered in its efforts to build and retain an appropriate presence in agricultural/market/food networks. Participation within these networks is key to the Market’s growth and success as it allows for involvement with vendors, funders and other support specific to the operation of a market and outside of KFNA. Currently, the market serves as a direct community outreach tool for KFNA. In addition to coordinating the market, the market coordinator is responsible for representing KFNA, promoting KFNA programs and providing support for KFNA special events. As the market has grown, it has become evident that one on-site staff person does not provide the capacity to fulfill both roles adequately. Both market management and KFNA suffer. As a separate operation, the market could dedicate staff time exclusively to market operations and development. By staffing a booth, KFNA could continue to access the market for community outreach, dedicating focus to its programs and special events. KFNA has provided a solid foundation from which the market has been able to grow and this year the Market has benefited tremendously from the local food connections brought by the 07 Kingfield Farmers’ Market’ Task force. For the Market to further develop itself as a reputable local food source KFNA needs to ensure that the market is managed and operated by staff / board that offer expertise and connections within the local food and agricultural networks. Work with MAP for Non Profits and their Project ReDesign program. Work with MAP to assess which model of organizational redesign would ensure that the Market would be able to exists as a local food source and community gathering place well into the future. c) Form a Market Association with other neighborhood and join markets under one incorporation but as separate projects. The operational model presented will include: an organization management plan, funding forecast, funding plan, and a cost estimate. If necessary for the ultimate plan to be enacted a transitional plan will also be presented to move toward the preferred model; this will include and outline of authority throughout transition, as well as transitional funding plan. 4) Present KFNA Board with selected operation model for approval (December 07 or January ‘08). If approved, Kingfield Farmers’ Market Advisory Board would enter the Transition Period and begin implementation of the selected operation model (actions may include: write bylaws, recruit board, identify staff needs, develop funding plan and implement management structure). -Use of KFNA office (computer, address, storage etc) during the redesign period and transition period, if needed. -Use of KFNA as a fiscal agent during redesign time and transition time, if needed.